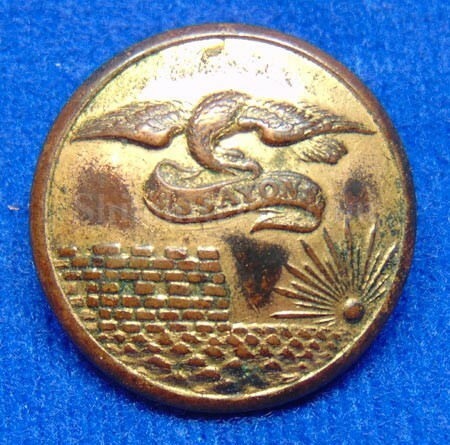 This is a fine original non-dug coat size button for the Civil War Engineer. It has the beautiful design of the spread wing eagle on the front. At the bottom are the castle on one side and the rising sun on the other. 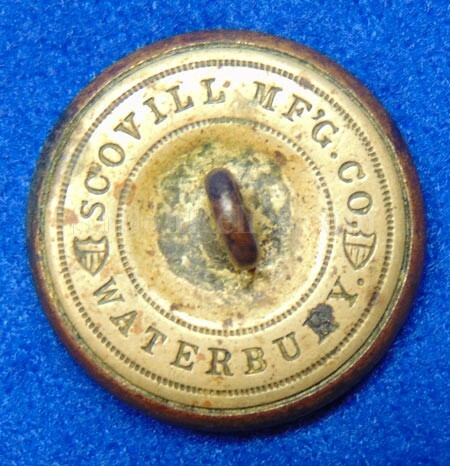 The back of the button has the correct Civil War backmark of "SCOVILL MF’G CO WATERBURY*” with two shields along with the shank. The button has a great look and the detail looks wonderful. This is the version listed as figure EG6 in Albert’s button book and EG215d1in Tice’s button book. It isn’t often you get a chance to own a true Civil War Engineer button but here’s your chance at a beauty.